These beautiful owl baubles would make a stylish addition to your Christmas tree. 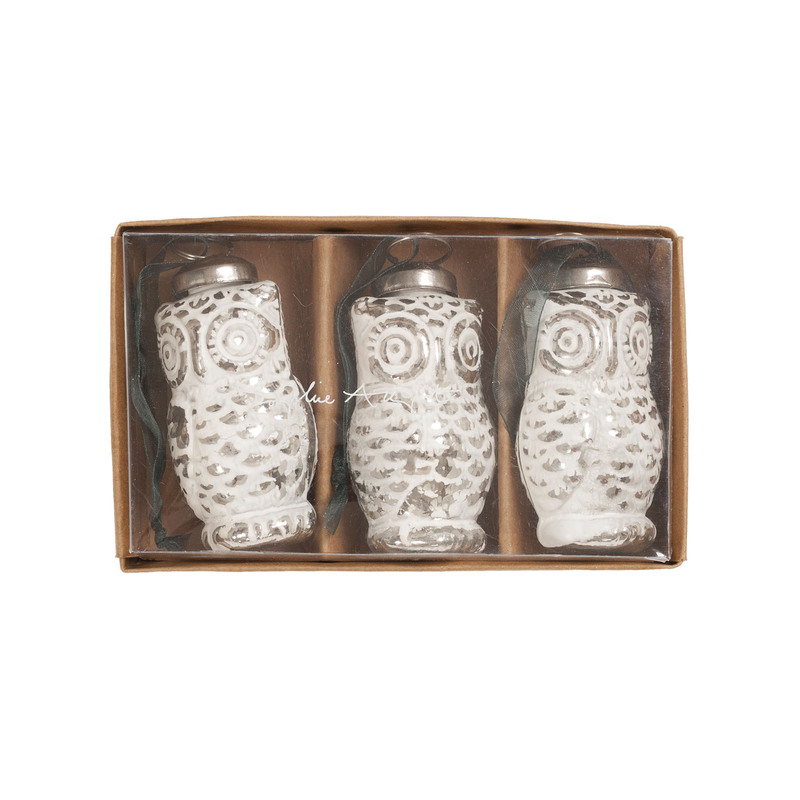 In a set of three these owl baubles are made of glass and have a silver finish to add some extra glamour. 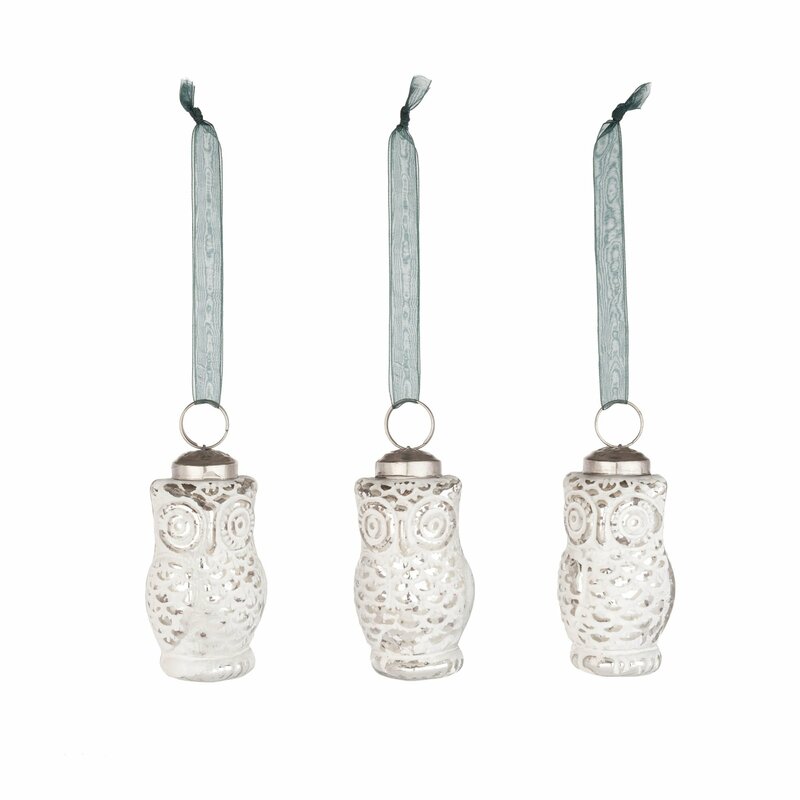 These owl baubles are also perfect as festive decoration around the house.